Minimize capital expenditures - with Artisans Hosted PBX. Artisan Flexible Voice service eliminates the upfront costs associated with the purchase, lease or maintenance of a premise based PBX. Eliminate calling costs - with Artisans unlimited plans you will experience free calling throughout the U.S., Canada, and Puerto Rico. If you have multiple offices and remote workers using Artisan VoIP service, calls between them are free. Reduce travel expenses - with Artisan voice conferencing capabilities. Instantaneous moves, adds and changes - occur at your whim. No more service calls! Do-it yourself features - allows individual users to make changes to features from any internet connection. Users can set up their own call routing, voicemail, Find-Me-Follow-Me functions and more. Never pay to upgrade again - with Artisan Hosted PBX. Each time Artisan upgrades our software version your phone will automatically update. No more hardware or software upgrades required to remain state-of-the-art. Best of all, its on us. No charge! We swear. 24 hour support - whether we like it or not. Just kidding! Track down employees no matter where - even if they dont want you to. With a single number, their phone travels with them. 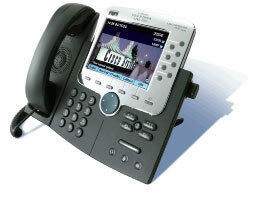 Not only do calls route to their desk phone but it travels to their cell, home, or anywhere else for that matter. Receptionists just click a mouse - to control the entire organizations phone calls using the software console. Not only can they see who is on the phone throughout the organization but they will enjoy complete control within minutes of installation. Call routing is a snap - with the Auto Attendant feature allowing callers to self-select the person or department with whom they wish to speak to. Plus each employee gets their own ten digit phone number. Sales and support efficiency - by multiple routing methods for incoming calls: send them to agent queues, cascade from phone to phone in a Hunt Group or ring multiple phones concurrently.